Hi in January 2017 i lost mini "Charlie" who was nearly eleven and had lost his sight, in April 2018 i rehomed "Raymond" who came over from Spain to spend his retirement with me, he was also blind and sadly passed away in January, i miss them tremendously and am keen to find another one, he will have the run of the house, and spend very little time on their own, Located in Surrey but willing to travel to find the right little man. Hi Izzy, very sorry to hear you have lost one of your dogs to cancer. I'm sure he or she had a brilliant life with you. so sorry for both your losses, Jeremy. 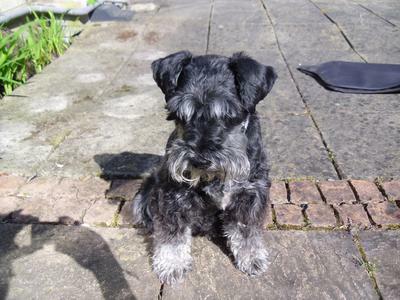 Two mini schnauzers have just come up for rehoming in Kent, if you can cope with two.